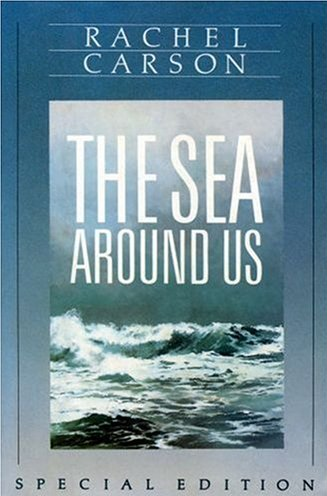 The Sea Around Us became an overnight best-seller in 1951 and made Rachel Carson the voice of public science in America, an internationally recognized authority on the oceans, and established her reputation as a nature writer of first rank. It remained on the New York Times best-seller list for a record 86 weeks, and won the National Book award for non-fiction in 1952, as well as the prestigious John Burroughs Award for nature writing among many other awards. Using her superb research skills and her government knowledge of where to find the right experts, Carson spent nearly eight years researching the latest science on the formation and character of the oceans of our planet. Much of her research came as a result of data obtained from submarine war-fare of World War II. The Sea Around Us is a survey of what we know about the seas of the Earth that while scientifically accurate is also filled with art and wonder of discovery. Carson describes hidden mountains and canyons of the deepest ocean and explains how they were mapped. She tells us how islands are "born," how they are populated by plants and animals, and how they are altered. She explains global winds, rains, currents and tides and how our world is primarily a watery globe. Carson does not neglect mystery and wonder but blends imagination with fact and expert knowledge. The Sea Around Us became and remains a classic description of the sea, relevant even a half-century later. It made Rachel Carson a writer of international significance and its financial success allowed her to retire from government service to write full-time.